Looks as though Queanbeyan Station is having its platform upgraded. 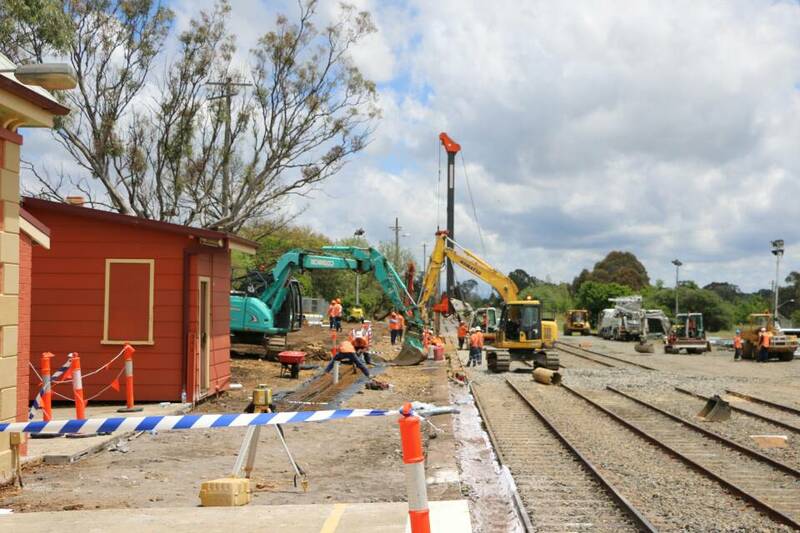 A fence was installed along the Canberra end to prevent people accessing part of the platform (which isn't used by the Xplorer) however recent work has seen this end of the platform will be raised the entire length with a new concrete layer and improved drainage. Unsure why this section of the platform is being done as the Xplorer doesn't use more than the section that was already raised to meet DDA and cannot find any articles relating to work at the station. One day I'll put some photos up, but that section was totally removed &amp; redone. While things might change now, the Bungendore end is also expected to be raised sometime next year. If you step on the new section, you'll notice that it is slightly closer to the train. Other upgrades have included a working PA system &amp; security camera. (It should go ahead anyway) a security screen is also in the pipeline for the station counter. A couple during &amp; a couple after will come once I return &amp; get photos of camera from last Friday. 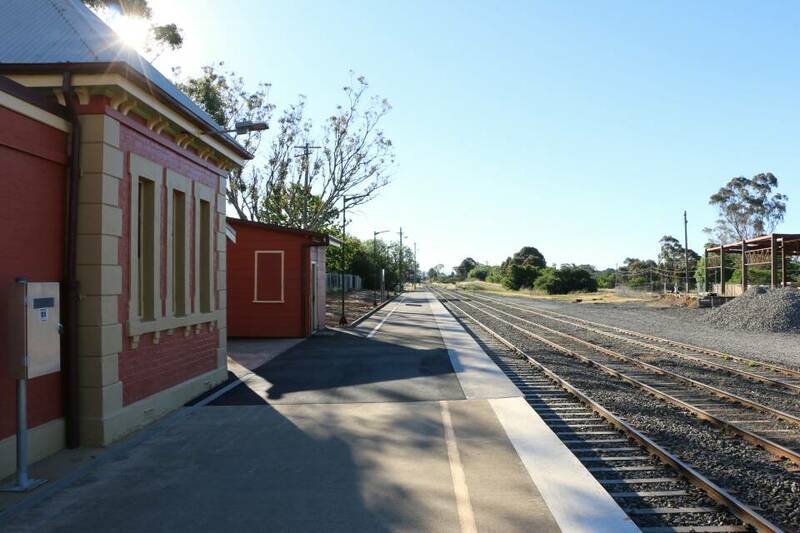 Even if it's part of the platform they don't use and seemingly pointless, at least they're investing the money in station upgrades which is a good sign for continuing the services into the future. The finished product, even provides new view the normal couldn't see previously. Looks good! Hopefully they do some work on the garden area too and it isn't just bark.